A warm welcome to our page. We look forward to sharing our amazing learning and information about our year group. 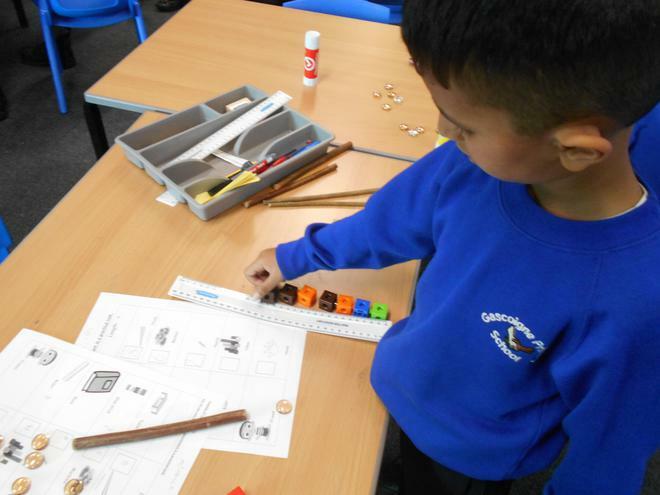 Please visit regularly for updates and to see our learning journey develop. To email Mrs Coffie (Year Group Leader), Please use the contact form below. 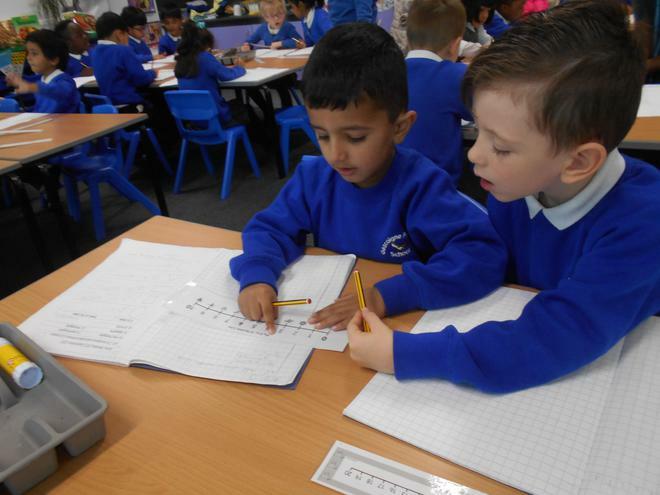 What standard is expected in Year 1? 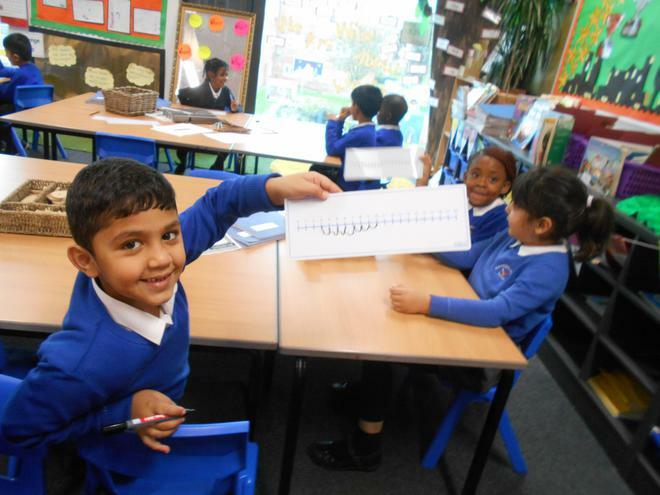 Take a look at our Target Tracker National Curriculum Steps. As part of our Imaginative Topic, we visited Tower of London to have first hand experiences of London's iconic building. We had great fun exploring the Crown Jewels, White Tower, Black Ravens, Salt Tower and watching the Changing Guards. Also, from the Tower of London site, we saw landmarks such as 'The Gherkin', 'Tower Bridge' and 'The Shard.' It was indeed a memorable trip!! Autumn 2- The Imaginative topic is called 'Bright Lights, Big City. 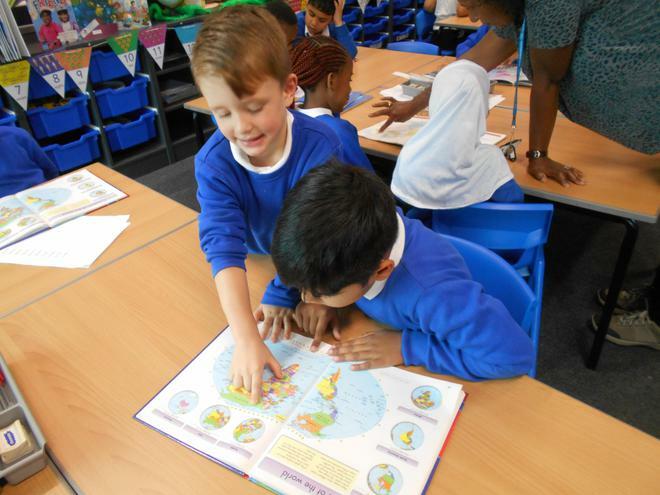 This topic will give children the opportunity to find out all about London, including its history, transport and famous landmarks. Through this, the children will learn about changes over time, family and the community. Also, they will know and appreciate local history, special memories, customs and traditions and growing up. 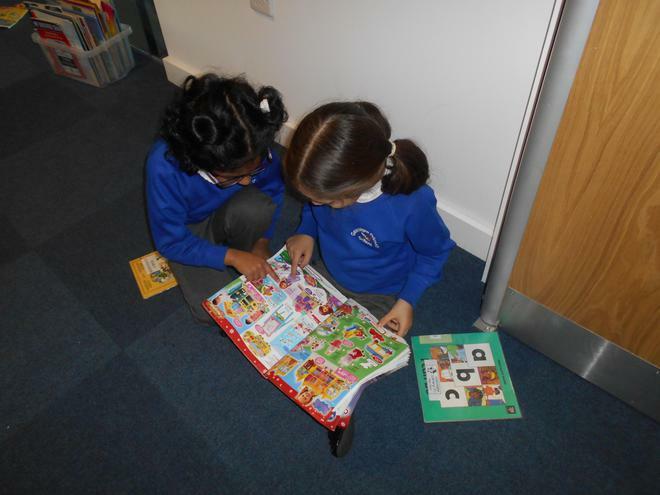 We are about to start RWInc Phonics and all the children are excited about learning to read in a fun way. 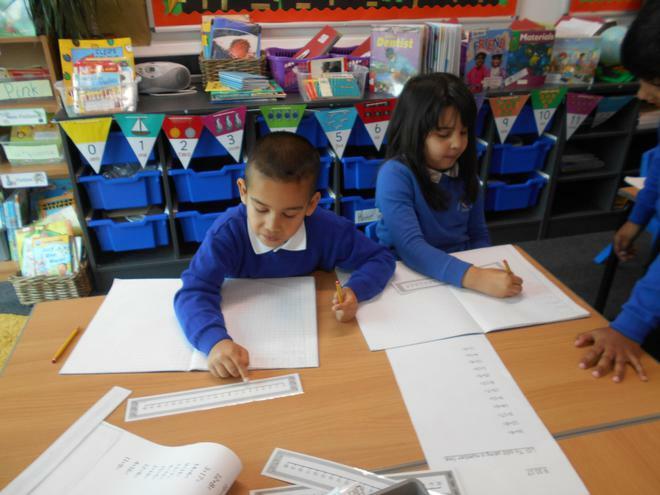 The children will complete reading and writing activities for 45 minutes each day. They have been grouped according to their reading needs, so classes will be mixed and taught by different "reading teachers." Establish a routine to include reading regularly throughout the day and the week. Most importantly show the fun that can be gained by listening to stories! Thank you Parents/ Carers, for attending our recent Parent Meeting. We hope that the meeting was able to provide you with some valuable insight into your child’s learning in school. We look forward to our continued partnership throughout the remainder of the school year. 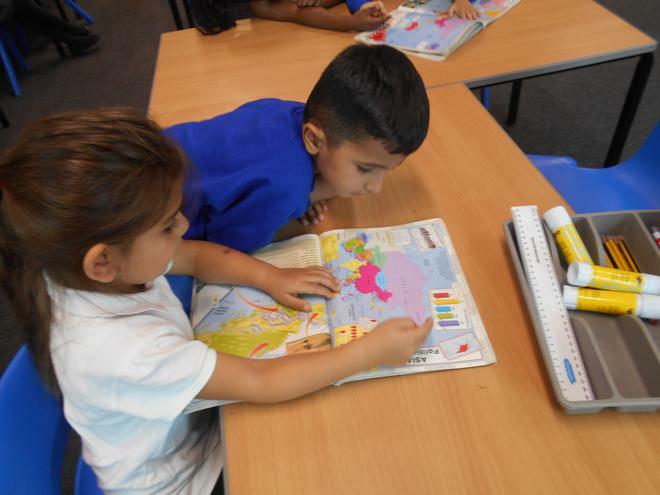 If you have any questions or concerns regarding your child’s learning, do not hesitate to contact us. 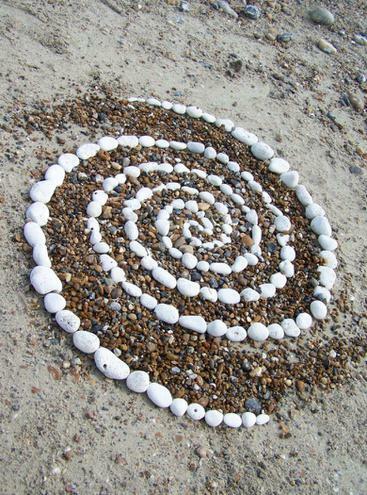 On our last imaginative topic 'BEACHCOMBERS', we visited Chalkwell beach, to have first hand experiences of the seaside. It was fun! 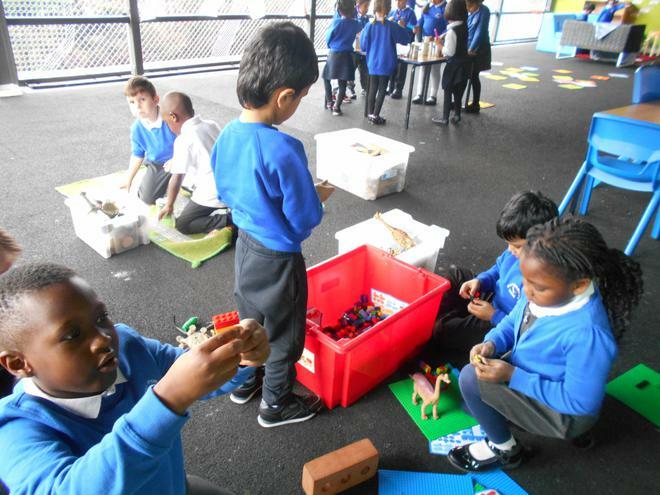 Whilst exploring the topic 'Dinosaur Planet', we visited the Natural History Museum to investigate samples of collected fossils and dinosaur skeletons. 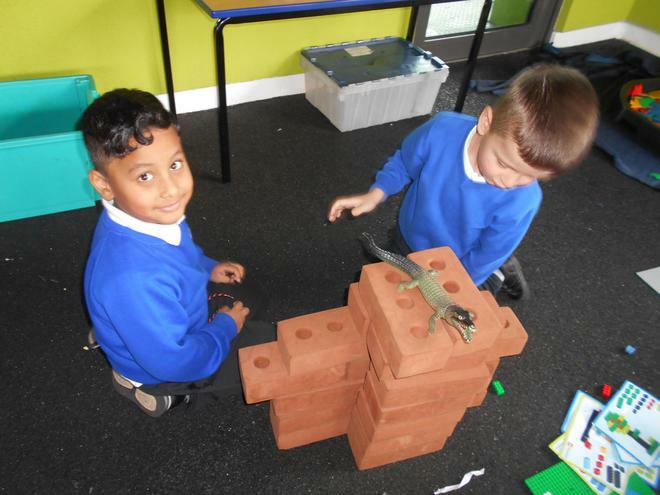 We had a great time investigating the various dinosaurs we have learnt about in class. 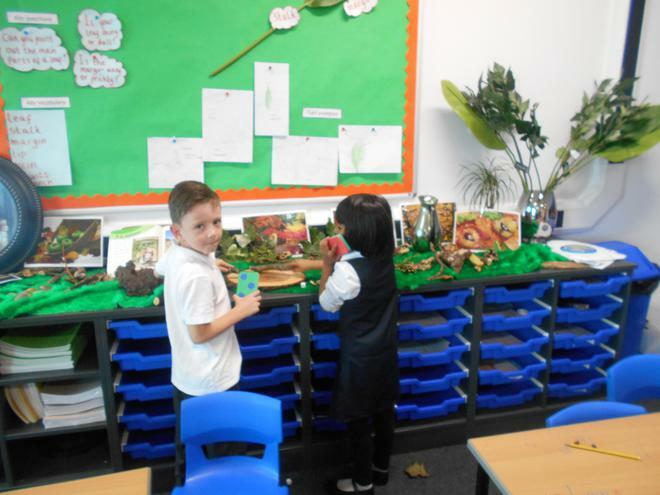 When we returned to school, we made our own fossils using clay and dinosaur skeletons. 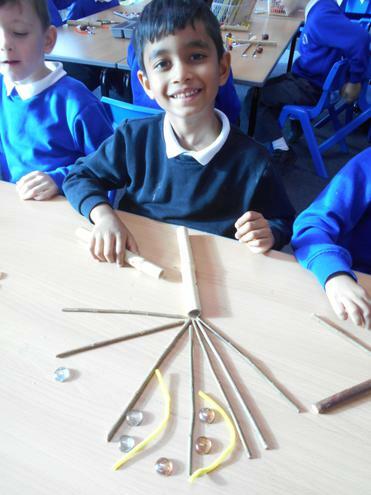 Look at us using different materials to make our own dinosaur skeletons. This activity was so much fun! 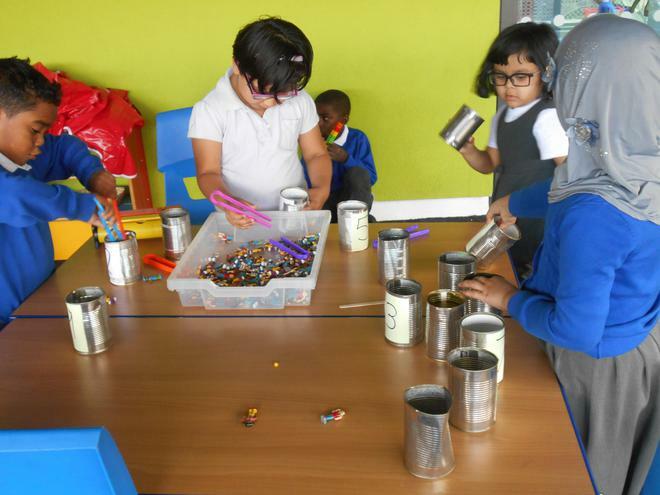 This week the children have been learning about Black heroes, heroines, kings and queens and their contributions and work in supporting their communities. 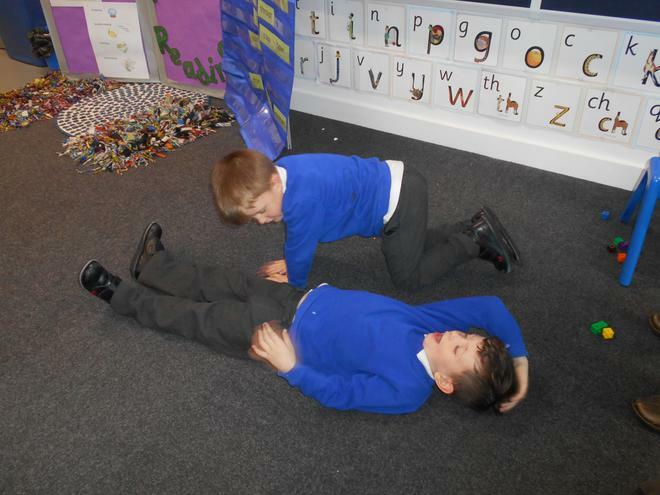 We have been dressing up and role playing African Kings and Queens. 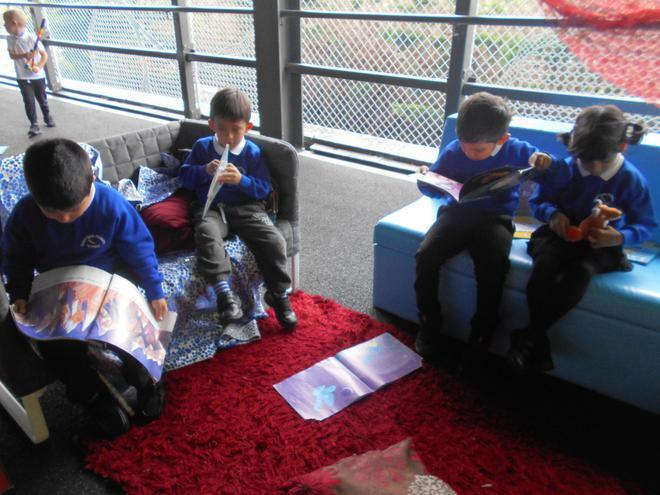 Reading activities- As part of our Guided Reading activities, We spend time to read books on Active learning-BUG club. Not only do we enjoy reading print books, we think ebooks are also EXCITING! 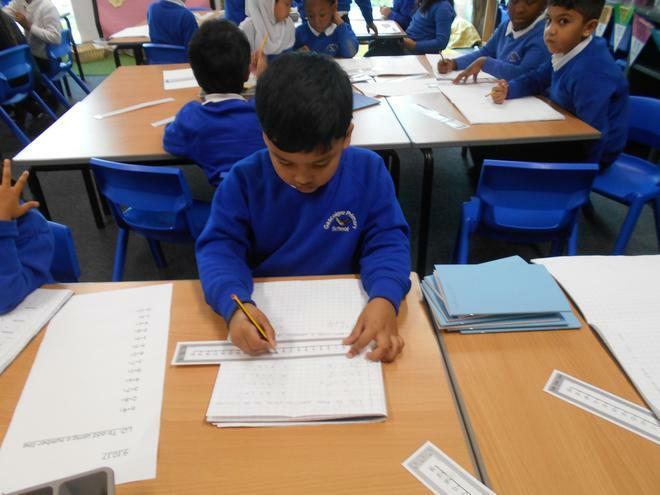 In Maths, we have been using number lines to work out the difference between two given numbers. 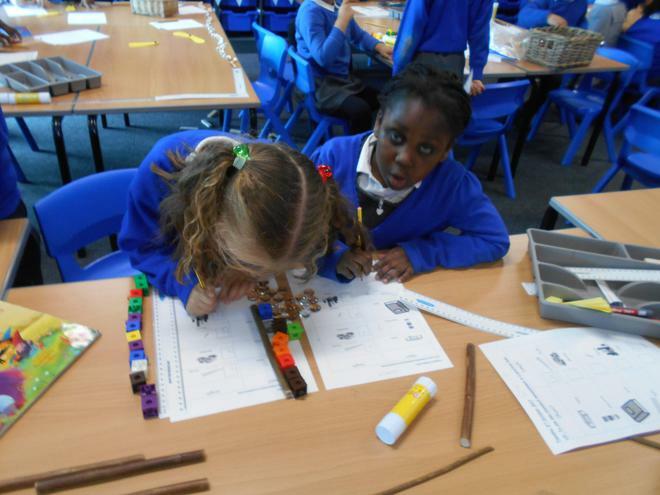 In Science, we have enjoyed measuring different objects using non-standardised measurement. 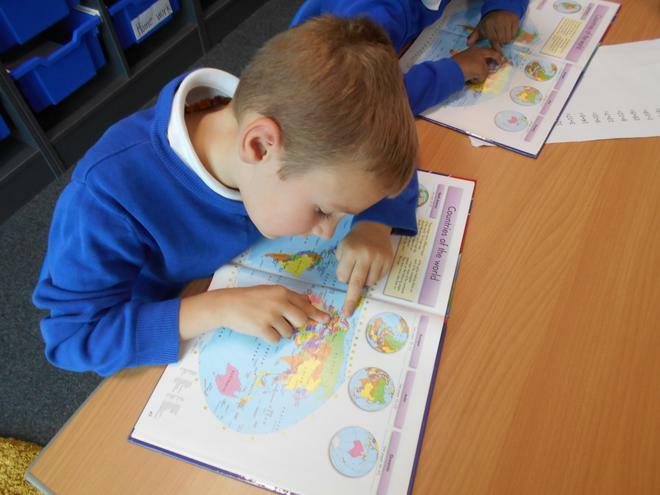 In Geography, we have been investigating why some countries are cold and why some are warm. We could locate some cold and warm countries on a map/atlas. 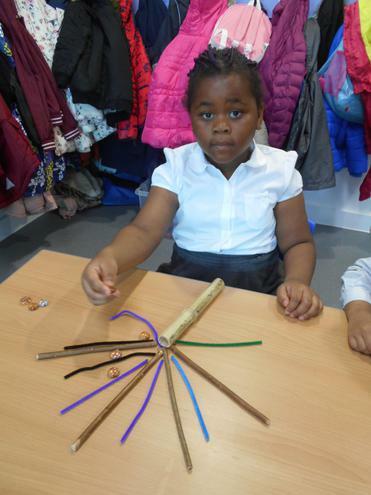 In ART and Design, we have been making imaginary season trees using different objects. Early days in Year One- A unique chapter in our lives! 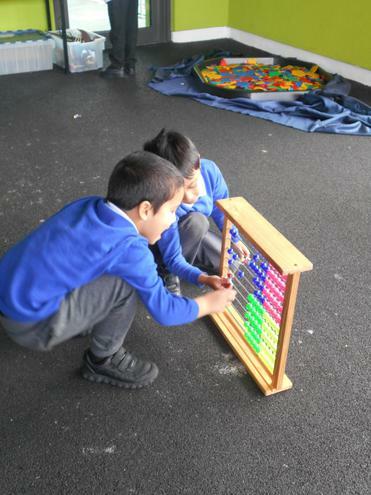 The children are still settling into their new classes and routine. 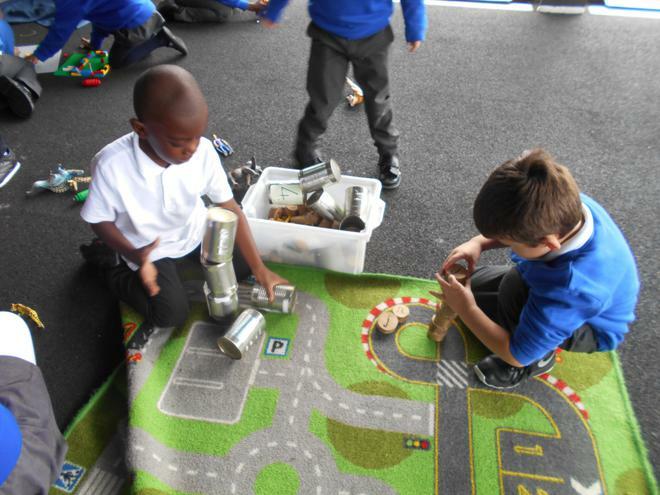 They are deeply involved in a purposeful, independent, creative, risk-taking, investigative, co-operative, enthusiastic and structured play. They are operating at their limits- THEY ARE LEARNING! 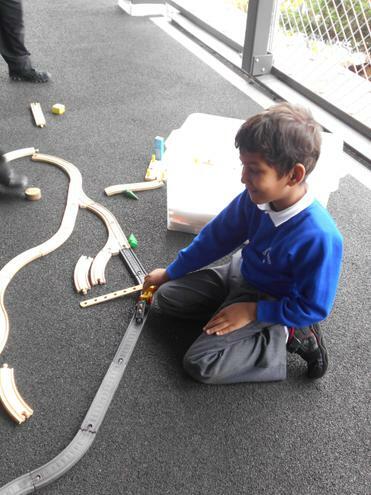 and extending the experiences that children have had in Reception. 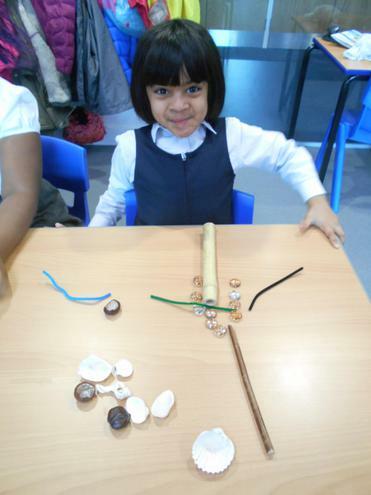 We hope to encourage effective and purposeful independent learning that will inspire and motivate all children to be creative and cooperative towards their learning. 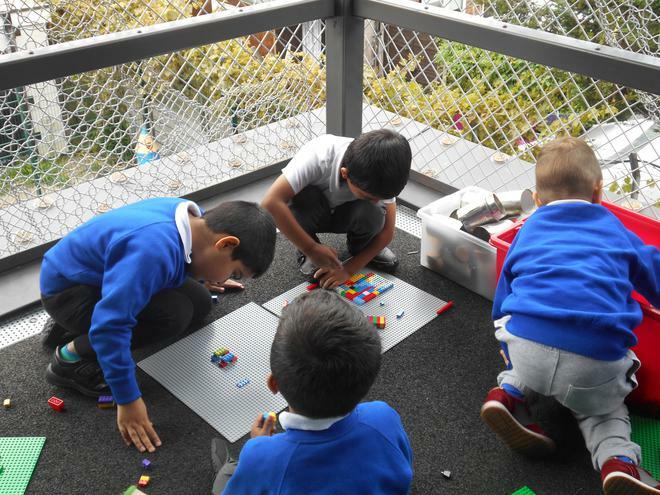 Learning through play will continue to be part of the school day and the children will steadily move into formal learning as the year progresses so that they remain motivated, enthused and passionate about their learning. A big thank you to all the Parent/Carers who attended the Year One transition meeting. Please refer to the notes below if you need any further clarification. Also, do not hesitate to speak to your child's Classteacher or Mrs Coffie (Year Group Leader) or Ms Walker (SLT Link) for any further support. The content below is from the academic year 2015-2016 . Look up for the most recent academic year. Meet our friendly and fantastic team! We are always here to help. 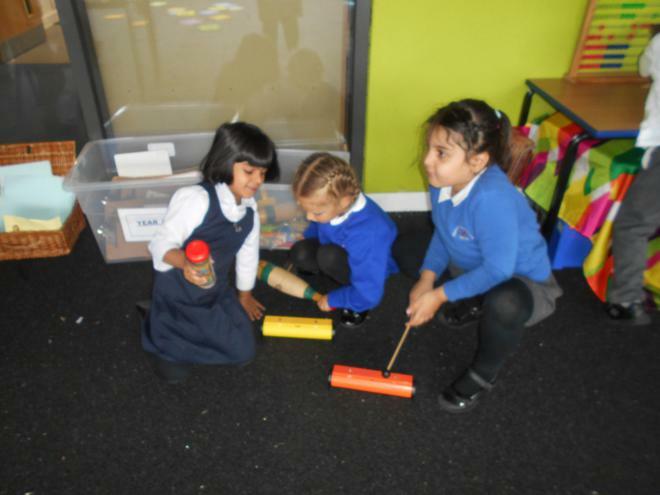 In Year 1 we have been learning to share objects into groups of 2. 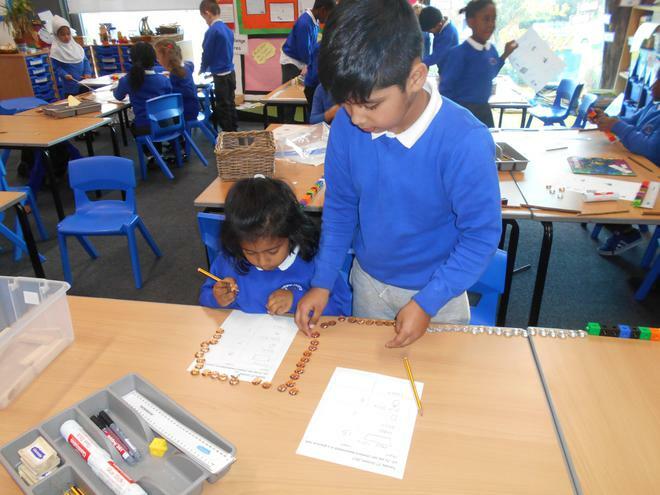 We are supporting our friends to solve division problems correctly. 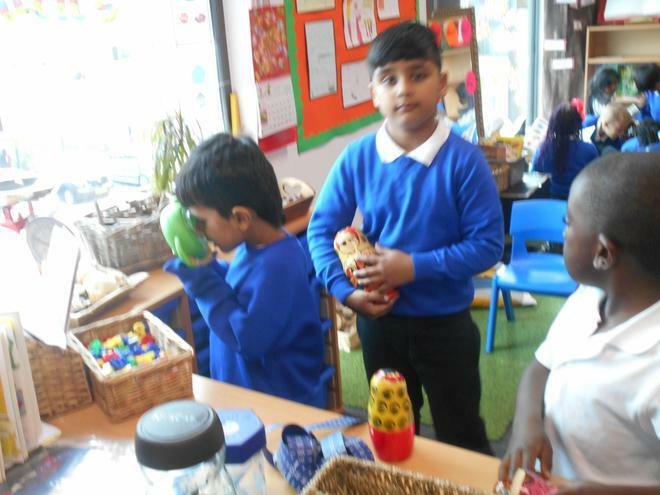 We are taking in turns to share the objects equally into 2 groups. Feeling proud to have solved the problems. 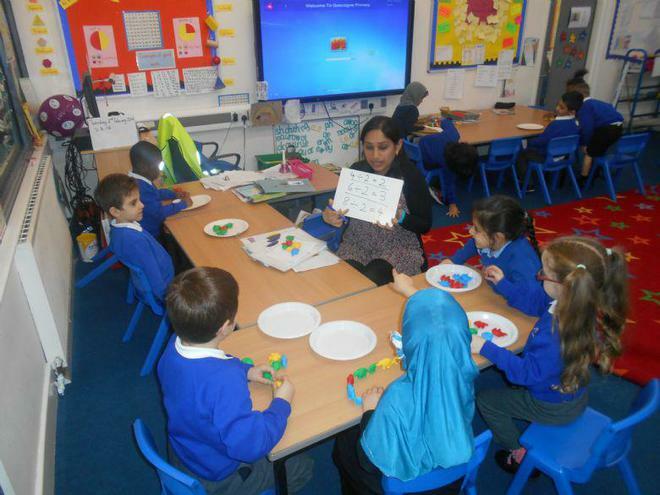 Mrs Kumar is helping us to solve the division problems. We got inspiration from famous artist Andy Goldworthy. 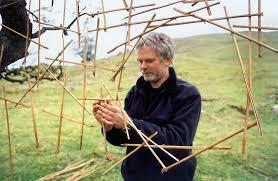 He talks about and demonstrates creating artwork in a natural landscape using natural materials. Look at our own artwork! 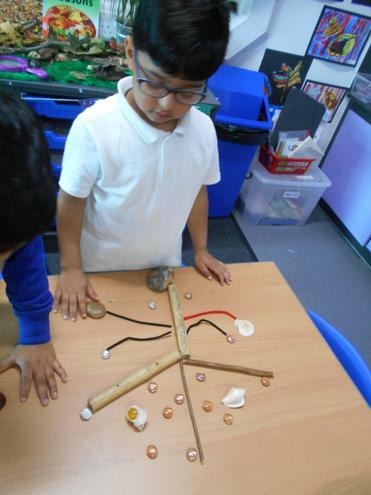 We had lots of fun creating each one.